Every one of you reading this review should be familiar with Ansel Adams and his haunting black-and-white photography. Adams and his photographs are as much a national treasure as the locales that he shot and there have been few American photographers that are better known or revered than he. Few photographers have enjoyed the widespread popularity and universal acceptance that Adams has and his work has had a weighty and profound impact on the way people view their majestic and beautiful surroundings. Adams not only became a popular photographer, but also a mighty voice during the early days of conservation and environmentalism. Created by famous documentarian Ric Burns (yes, he�s Ken Burns� brother) and his company, Steeplechase Films, Ansel Adams: A Documentary Film was a project that was made in conjunction with the Sierra Club for Adams� centennial and was shown on National Public Television back in April of 2002. Having some impressive projects already under his belt like The Donner Party (1992) and New York: A Documentary Film (1999), Burns hits another one out of the park with Ansel Adams and simply reinforces why he and his brother are two of the best filmmakers working anywhere today. Much like Stephen Amborse in the literary world, Ric and Ken burns are documenting American history in a way that is accessible and understood by all. The film follows Adams through his early and very difficult childhood in San Francisco and the great influence his father had on his life to his first trip to Yosemite when he was fourteen years old. After getting a Kodak camera as a gift from his father on the trip to Yosemite, we watch Adams as he grows from amateur photographer to an up-and-coming success in his field. We learn of Adams� musical talents and how he invested himself completely into both photography and music at different times in his life � feeling in his earlier days that music was always the higher art form. We see the impact that the ever-changing world had on him and his work, as well as the impact that he had on the world around him. The documentary takes us from the beginning to the end of Adams� existence and all points in-between - stopping along the way to point out all of the relative monuments and landmarks in his remarkable life. It�s an incredible journey that any self-respecting lover of photography nature, or history should check out as soon as possible. Burns doesn�t pull any punches as he walks us through Adams� passionate, intense, and often chaotic life with an engrossing narrative and marvelously informative interviews from biographers, historians, family members, and photographers alike. Adams was an amazing artist and activist and he has inspired untold legions with his beautiful work. Ric Burns� Ansel Adams: A Documentary Film amazingly captures the spirit and intensity of a man who understood better than most the spiritual connection and indivisible bond between man and nature. To my knowledge, there�s not a better documentary available on Ansel Adams and his work and you�d be hard pressed to convince me that anyone could do it better than Ric Burns anyway. This is a must-see for any lover of art, nature, or quintessential American history. Ansel Adams: A Documentary Film is an amazing work that shouldn�t be missed. The documentary is presented in a widescreen anamorphic presentation in the film�s original aspect ratio of 1.66:1. The documentary is as professional as they come and it shows on the video transfer as well. The image was especially tight and detailed and all of the stock footage and photos transferred quite nicely as well. The documentary exhibited amazing differentiation between black and white and it was nothing short of amazing how strong Adams� work came through in the film. Colorful hues in the more traditional sense were left to the interview snippets, as well as Burns� more recently shot footage and as expected, the landscapes looked appropriately lush and inviting. Issues with the transfer were very minor, as some slight grain and artifacting were noted in a couple of areas. Print flaws were usually reserved for only the oldest of footage, while Adams� portraits were as perfect as they come and didn�t exhibit even a hint of a flaw. Ultimately, this was an immaculate transfer that was a couple of flaws short of absolute perfection. PBS� transfer is right on the money and everything from Ansel�s work to the stock footage/photos used in the documentary looked great. Ultimately, Ansel Adams was very pleasing to the eyes and fans of Adams and of the PBS �American Experience� series will be quite pleased. There�s not a whole lot to talk about on PBS� audio transfer for Ansel Adams, as the Dolby Digital 2.0 track isn�t given a whole lot do. As expected for a documentary, it�s a very talkative affair and in Ansel Adams, all the dialogue is contained in the front surrounds and never exhibits any harshness or edginess whatsoever. Everything was crystal clear from the onset and there were no problems related to intelligibility at any time. 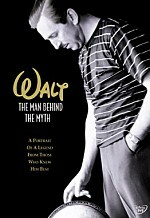 The music in the documentary was completely appropriate for the material at hand and the soundtrack received pleasant dynamics and fidelity, without once overpowering the dialogue. The track was properly mixed and balanced and ultimately sounded as good as you�d expect such a recently produced and well-done documentary to sound. PBS handles the transfer to DVD well and the results will be very pleasing to the viewer, although they have not included any alternate language tracks or subtitles for the film. PSB provides no extras to supplement this entry in their �American Experience� series. However, there are a couple of links from the main menu (American Experience and PBS Online) that give you a quick text-based introduction to the �American Experience� series, as well tell you what�s available on PBS� website to supplement the Ansel Adams documentary. PBS, Ric Burns, and Steeplechase Films have joined forces yet again to create another engaging and masterful documentary of paramount relevance. It�s an enjoyable picture about one of America�s greatest national treasures and one that will absolutely hold your attention for the entire running time of the film. Although the DVD doesn�t contain any extras, it�s totally solid where it counts and the story alone is worth the price of admission. 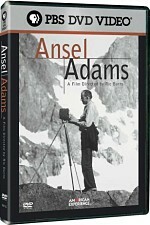 Ansel Adams: A Documentary Film comes highly recommended.